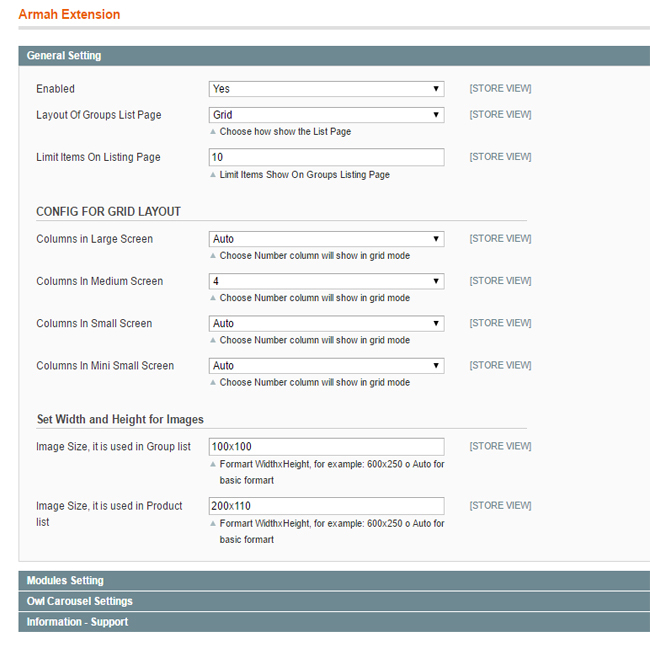 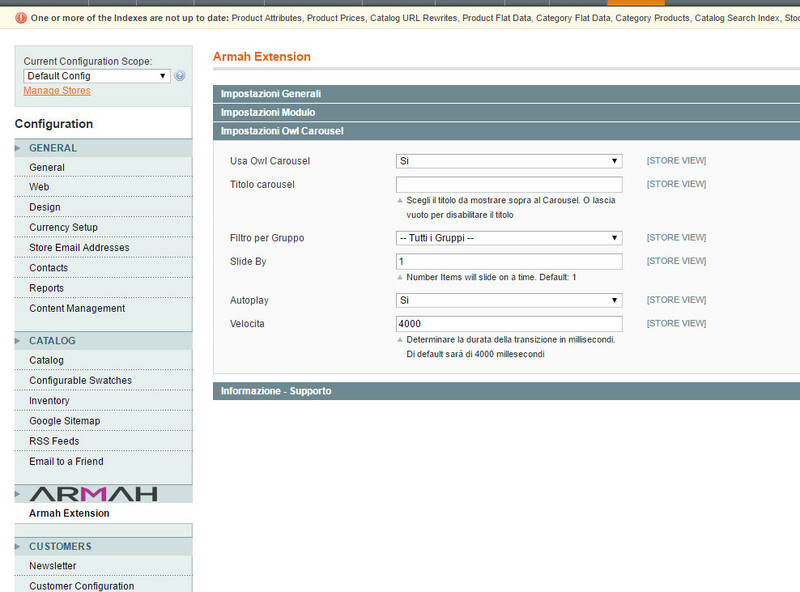 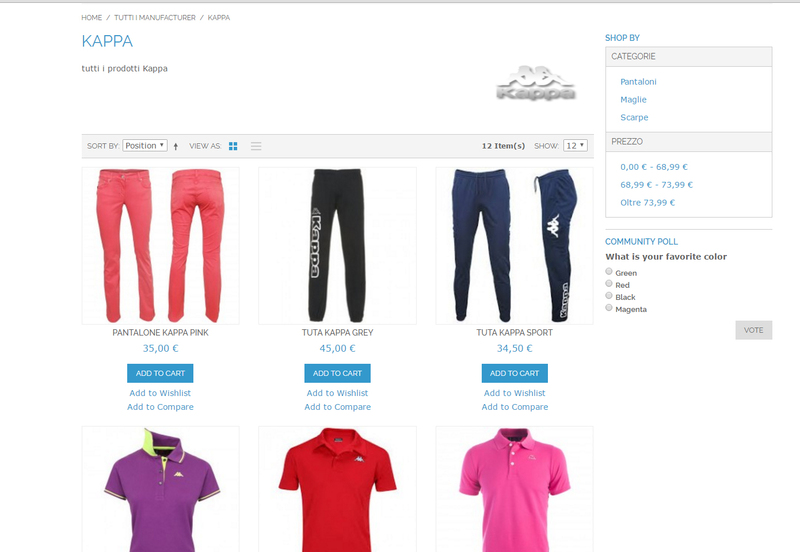 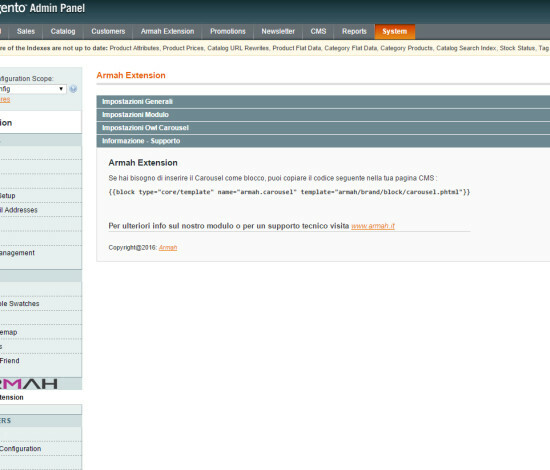 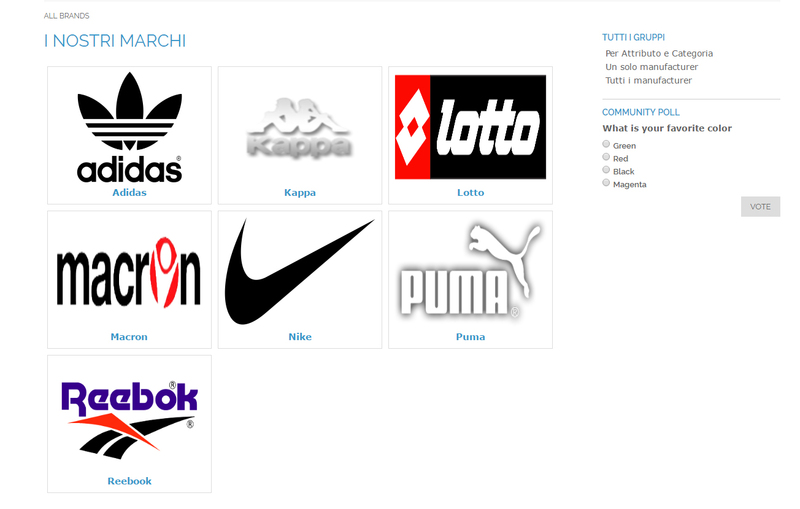 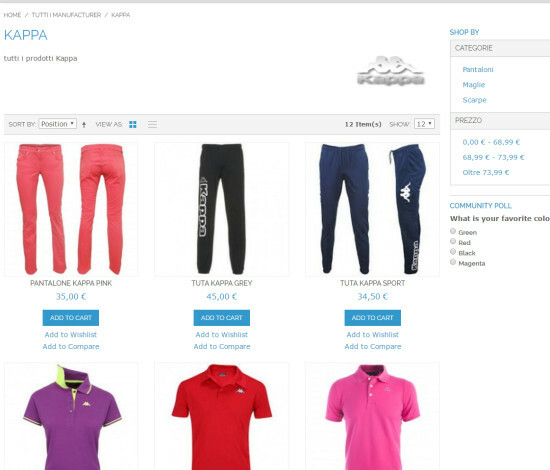 Armah Extension is a module that provides the ability to make your site content easily accessible: allow you to set custom filters on products to show only those having the desired characteristics (category, attribute, producer). 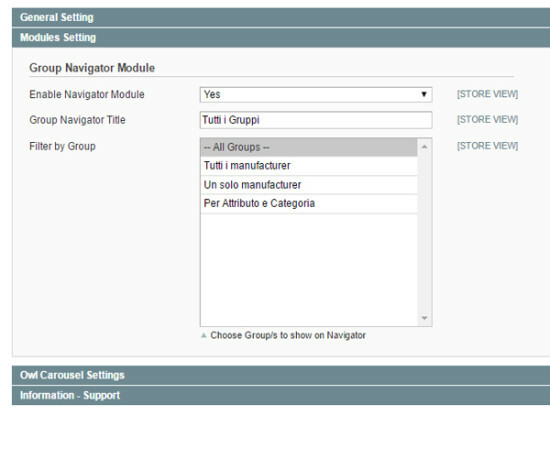 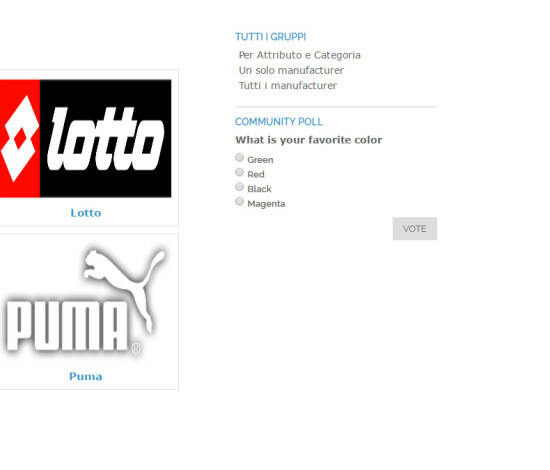 By accessing the administration panel, through the “Add Group” you can create a group (custom filter), according to a producer (by selecting “YES” in the “Manufacturer” and the specific manufacturer in the list that appears), to All Suppliers (by selecting “Yes” and “All”) or based on any particular manufacturer (by selecting “No” in the “Manufacturer”). 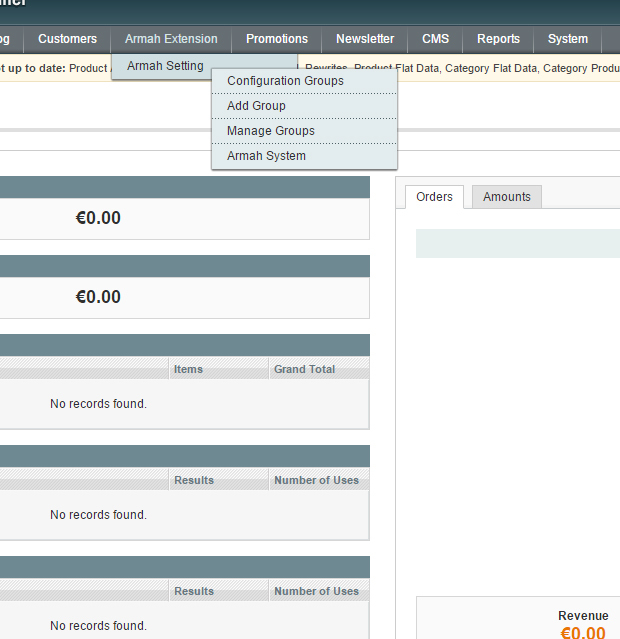 Under “Attribute Extra” can be added to a specific attribute filtering (eg. 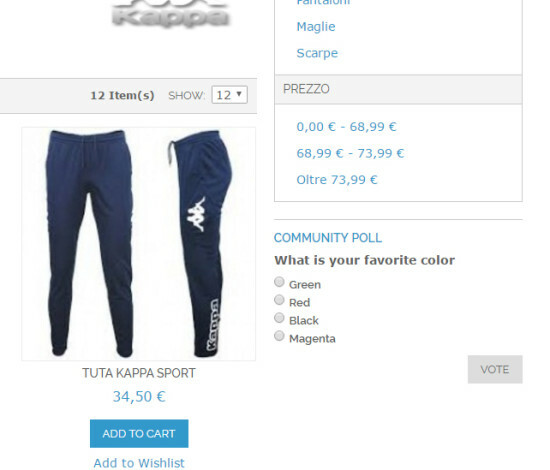 Color, Size, etc…). 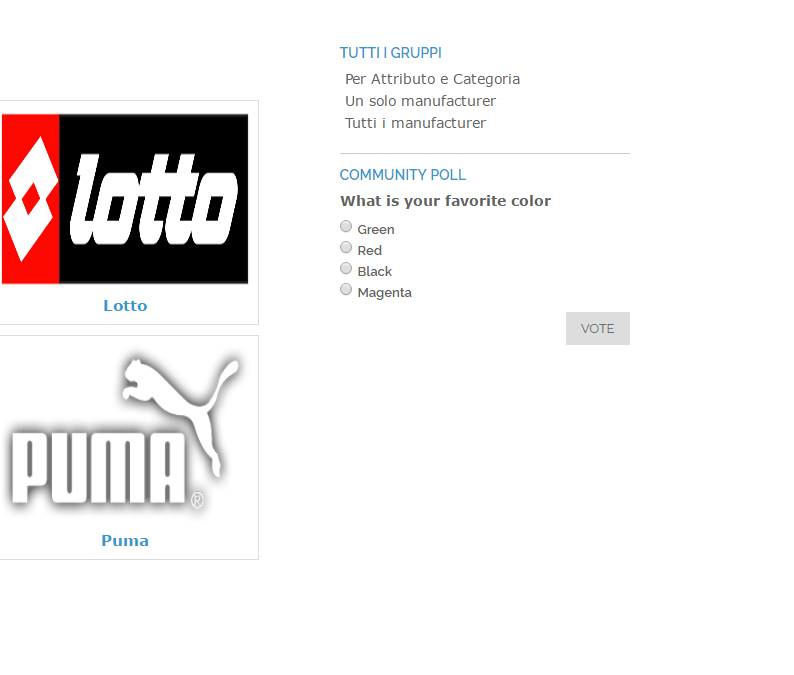 You will also have the possibility to choose the desired category of products, selectable only in addition to the producer or attribute or both. 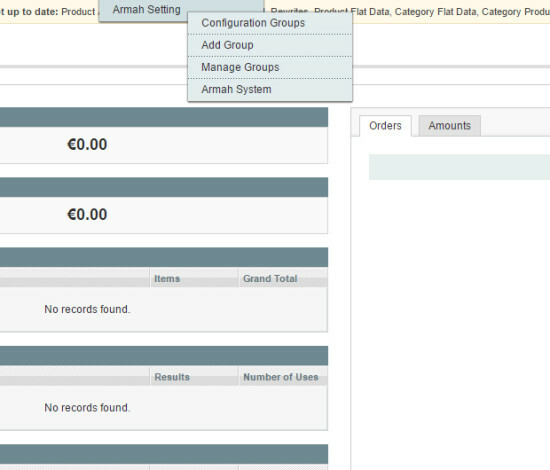 Once you created and saved the group, the configuration page will appear where you can choose the Title, Image, Description and Identifier associated with the group. 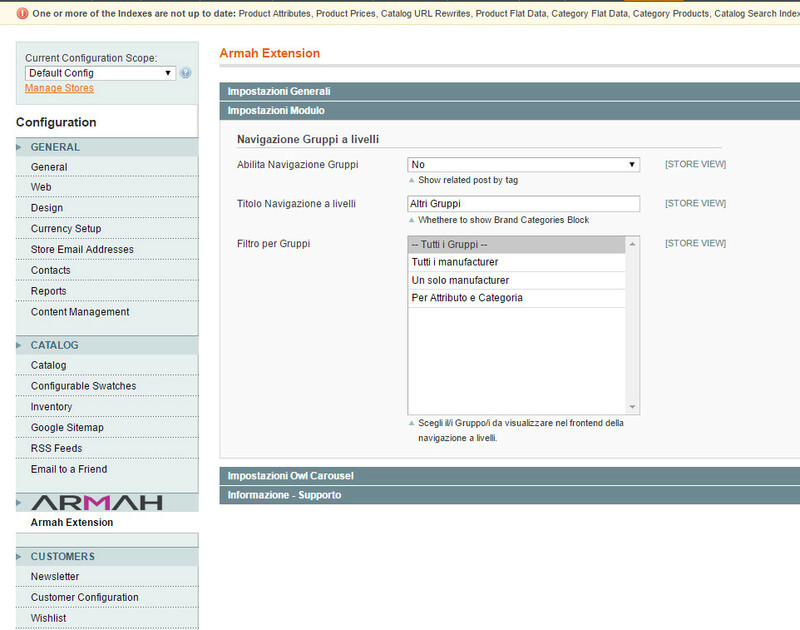 After saving so information entered, you can change them at any time under “Configuration groups”, while the “Manage Groups” you can change the settings of individual groups created or delete a group. 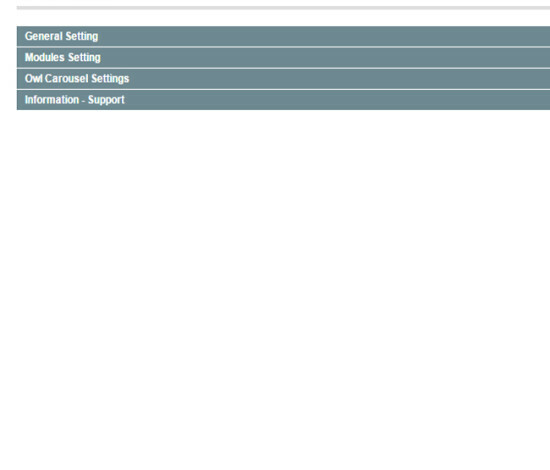 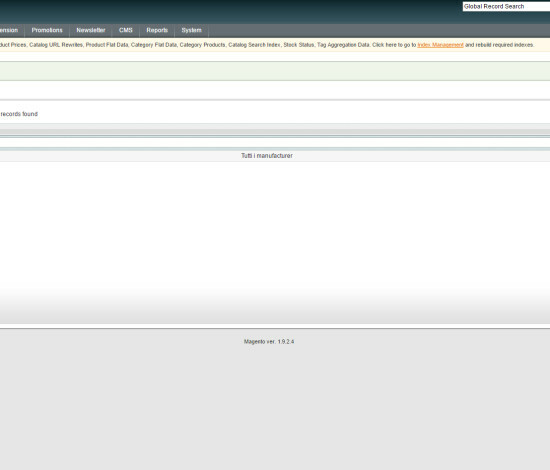 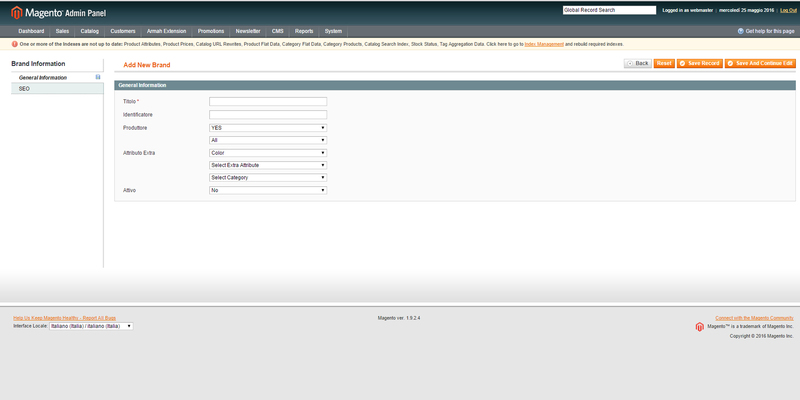 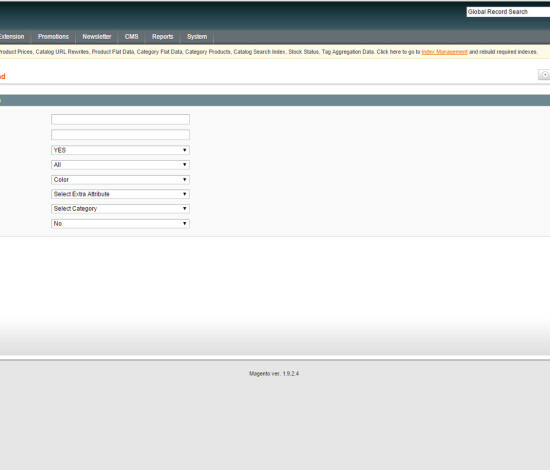 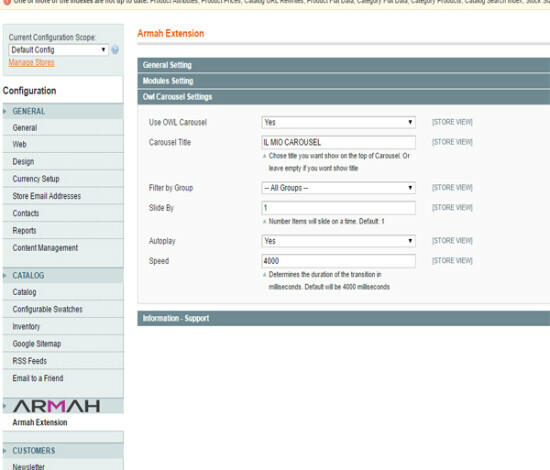 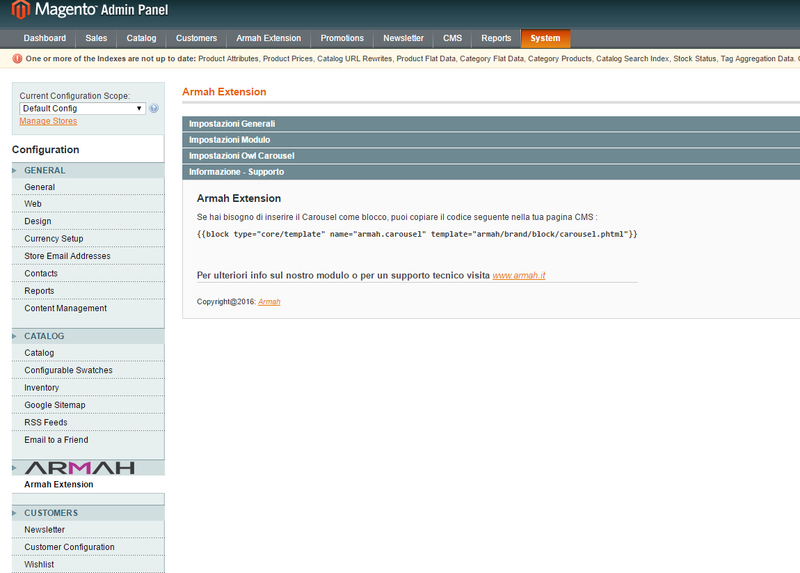 Under “Armah System” you will finally can customize to your liking by choosing different module configurations. 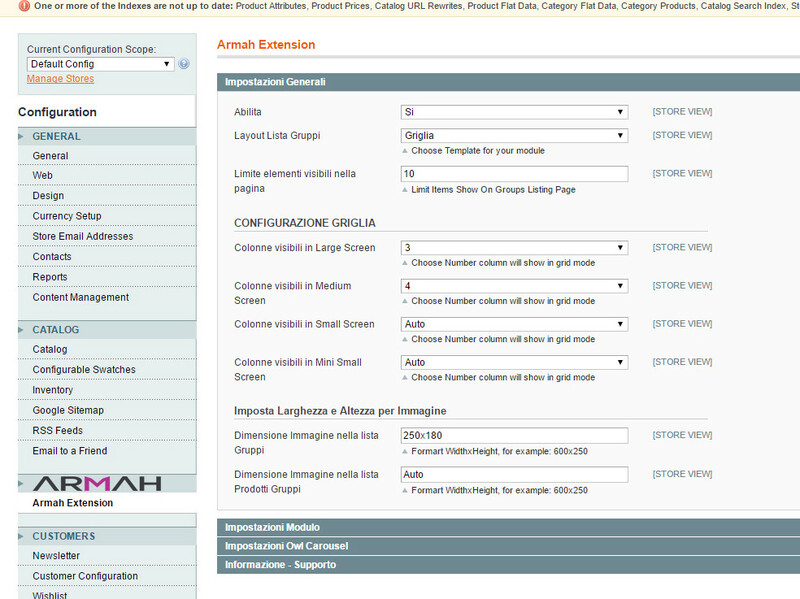 “Configuration Groups” allows you to access all the groups created in order to change or simply the configurations of a particular group. 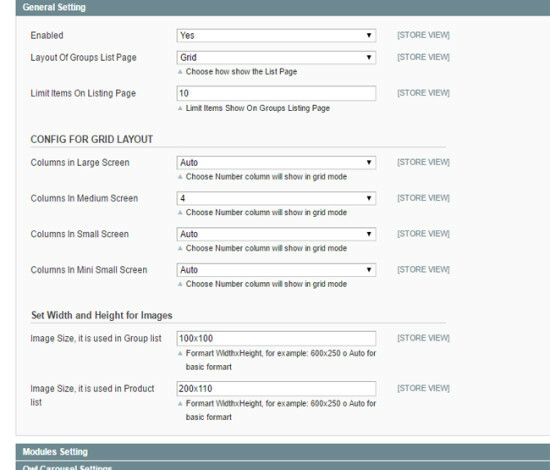 “Add Group” group allows you to create a new group with all available settings. 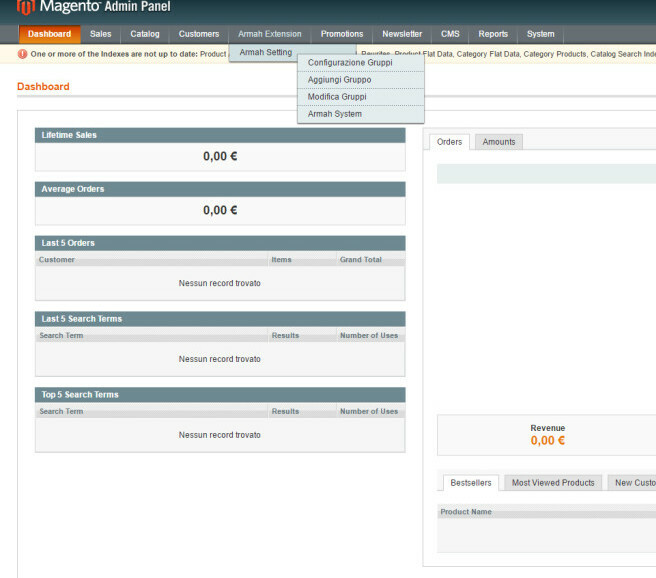 “Manage Groups” Groups allows you to change the settings of a particular group. 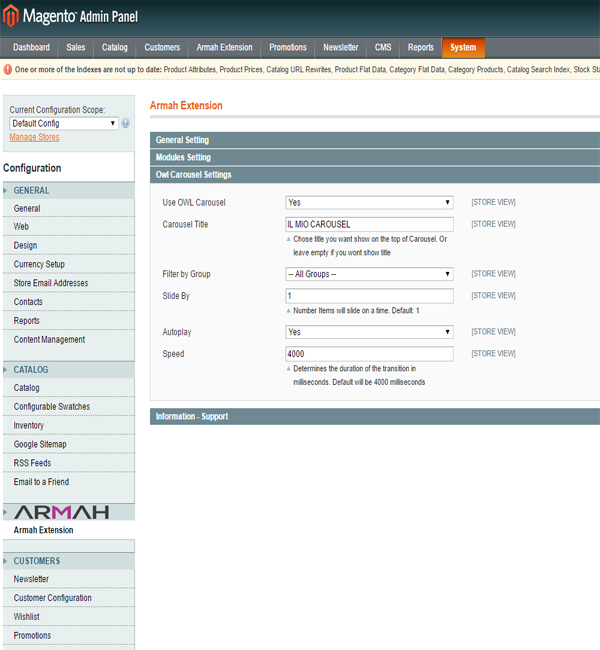 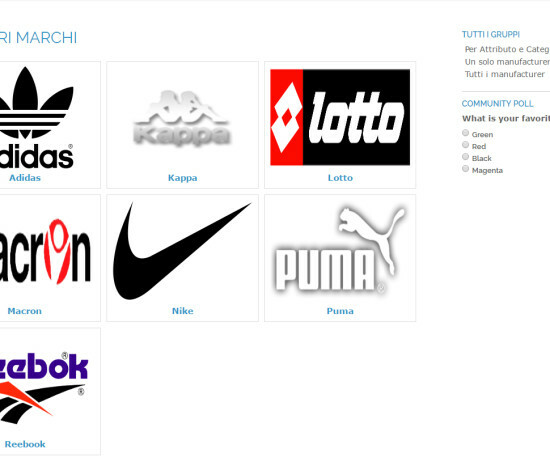 “Armah System” allows you to customize to your liking by choosing different module configurations.